Dentfix specialises in car body repairs, alloy wheel refurbishment, bumper repair and smaller minor scuffs and scratches which not only look unsightly but also reduces the vehicle's resale value. 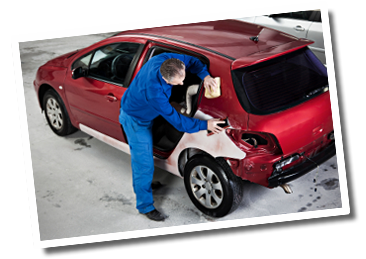 Traditional way of repairing bodywork involved a lengthy process as the vehicle progressed through the bodyshop. Now thanks to our new equipment, our highly trained multi-skilled technicians are responsible for each job from start to finish in a fraction of the time. Most people find it very stressful when they are dealing direct with insurance companies. In most cases customers are pleasantly surprised when they realise that these repairs are often less than their insurance excess so they do not have to make a claim. "I wanted to write to thank you for the excellent repair job you did on my front bumper, and the small scratch on the off-side. When I collected the car I actually had to think twice about which was the damaged side, it was impossible to tell, I am delighted my car has been restored to its full glory and I will not hesitate in recommending you to anyone who needs their vehicles repaired thankyou for making it better! Kind regards"